A mailbox in the horizontal format is the White Rottner Mailbox Imola. It's body is made from powder-coated sheet steel. The door, which can be opened with a cylinder key lock, features many details, such as an embossed envelope, a name plate and 4 round viewing windows. To ensure that your mail is protected from the weather, the mailbox closes with a small flap. A fitting mounting material and a drilling template are included in your delivery. 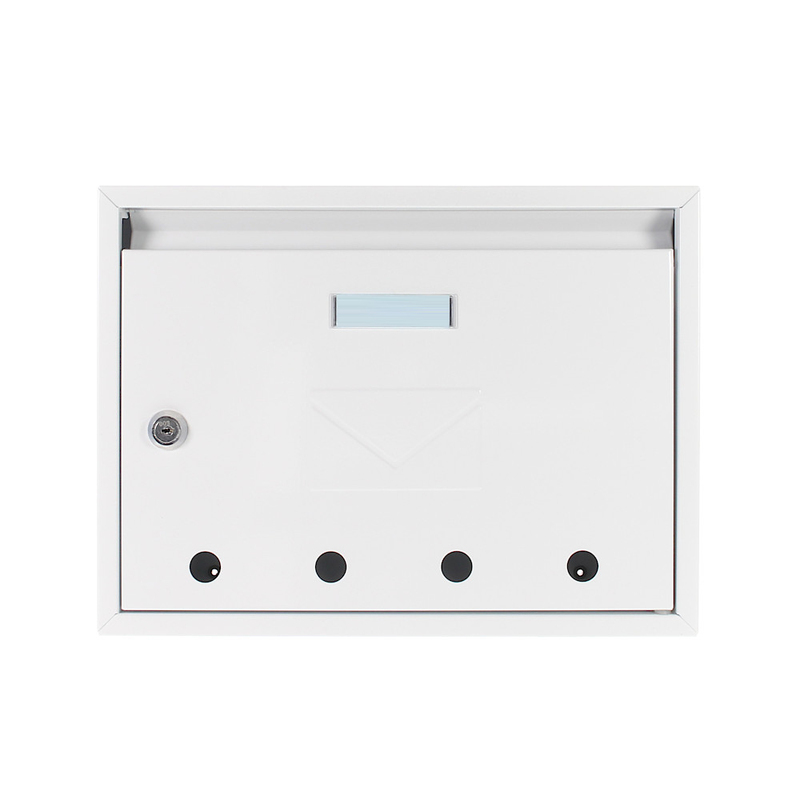 The White, Rectangular Rottner Mail Box Imola is made from powder-coated sheet steel. The material required for easy assembly as well as a drill template are included in your delivery.